Small group jazz performance is an aural art form that is rich in an interactive style of performance and improvisation passed from master to student throughout its history. Internationally, professional jazz musicians represent one of the highest forms of artistic achievement and their performance careers span a broad range of commercial areas including touring artists, recording artists, studio musicians, pit orchestra members, jingle writers, composers, commercial bands and jobbing musicians. Historically, the Canadian music scene has been a vibrant and viable industry supporting local, national and international artists in both the classical and commercial fields of music. While opportunities have long existed for the classical music student to further their skills through regional and national training programs, competitions and performance opportunities, few such opportunities exist for students in the commercial/jazz field. 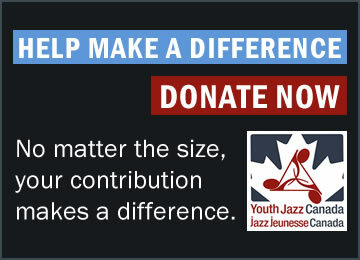 Youth Jazz Canada programs provide talented Canadian youth interested in jazz performance with the opportunity to develop their talent, network with peers and professionals at the highest performance level and acquire a greater awareness of the music industry without leaving the country. Exceptionally talented students will be able to use the training as a stepping-stone to other national and international opportunities. The Community Music School is a fee-for-service outreach program for children and youth aged 3 to 18 that offers Saturday music classes from September to June through Humber College’s Music Department, School of Creative and Performing Arts, Lakeshore Campus, Toronto. Formed in 1980, the School has since established itself as an innovator and leader in youth jazz education offering both private lessons and small group (4-7 students) jazz combo performance classes to youth aged 12-18. Humber’s Community Music School boasts a history of national and international accolades and scholarships, including featured performances at North American and European Jazz Festivals, IAJE International Conferences, National and International “All-Star” Bands. Community School alumni have found placement in some of the finest post-secondary music schools in the world including Humber College, McGill University, University of Toronto, Manhattan School of Music (NY), Brubeck Fellowship Program (CA), Berklee College (MA), New School (NY), and Amsterdamse HS voor de kunsten, (Holland). Over the last several years, Community Music School students who are in their final year of high school have received over $2 million in scholarship offers from post-secondary music programs across North America. 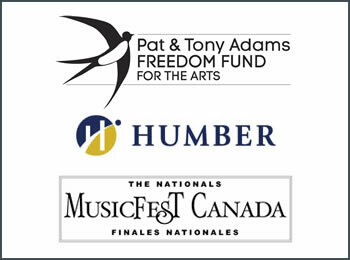 MusicFest Canada began in 1972 with a handful of Canadian musicians who created the country’s first jazz band festival. Now, in its 40th year, this small group has grown to embrace 4 Festival Divisions, the original Canadian Stage Band Festival Jazz Division, the Choral/Vocal Jazz Division(1981) the Concert Band Division (1986) and the Orchestra/String Division (2008). MusicFest Canada is an annual national event that brings together more than 10,000 of Canada’s finest young musicians who perform for recognition as the country’s foremost musical ensembles. Participants range in age from 12-25 years and are drawn from the elementary, high school, college and university levels. The festival is held each year in May, usually near the holiday weekend. Today, MusicFest Canada annually engages the participation of over 450,000 young people in 104 affiliated festivals nationwide for an opportunity to perform at the national festival. It is the first-ever event of its kind to provide an artistic venue for so many young people and is North America’s largest annual event dedicated to developing young musical talent. Staged in a major Canadian city each year, MusicFest Canada is the ultimate experience in combining music and education and is a moving force in the cultural life of Canada’s youth. These young musicians perform in over 300 ensembles and attend headline concerts, clinics, educoncerts and workshops for an intense, non-stop week! The TD Toronto Jazz Festival has become known as one of North America’s premier jazz festivals produced annually by Toronto Downtown Jazz, a Canadian registered charity (No. 12969 0269 RR0001). What began in 1987 as an eight day showcase of jazz now attracts in excess of 500,000 loyal patrons annually over 10 days. Attractions include more than 350 performances with over 1,500 musicians performing at approximately 40 locations around Toronto. The heart of the Festival is now located at Metro Square in the heart of Toronto’s Entertainment District with an impressive 1,200 seat fully-licensed Mainstage Marquee and outdoor stage, and where many extraordinary events are offered free to the public. The Festival has become a destination event, not just for music lovers but for some of the greatest jazz celebrities in the world, reinforcing its reputation as a leader in artistic excellence and outstanding production standards. Its continued success and growth is a testament to its strong relationships with its stakeholders including patrons, Toronto City Council, Members of Parliament, corporate sponsors, volunteers, private donors and all levels of government. The TD Toronto Jazz Festival is endorsed by Toronto City Council, international artists and has been designated as an event of municipal significance that enhances Canada’s international reputation.